Obituary for Russell L. Sipe | Devlin-Rosmos-Kepp F.H. & C. S.
Russell L. Sipe, 86, husband of the late Virginia C. (Gilpin) Sipe of Phoenixville, PA, died on Thursday, August 23, 2018 in Seasons Hospice. Born on December 19, 1931 in York, PA, he was the son of the late Russell H. and Margaret T. (Foller) Sipe. 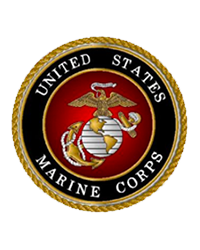 He served in the US Marine Corps from 1951 to 1954 and achieved the rank of Sergeant. He was a truck mechanic for the former Esso Oil Company and for Exxon - Mobil for over 30 years. He was a member of the former Valley Forge Lions Club where he held several offices and was a current member of the Kimberton Lions Club. He enjoyed traveling to all 50 states and several countries. He was the uncle to several nieces and nephews. Relatives and friends are invited to attend his Funeral Service at the Devlin Rosmos Kepp and Gatcha Funeral Home & Cremation Services, 517 S. Main Street at Fourth Avenue, Phoenixville, PA on Wednesday, August 29, 2018 at 6:00pm with Deacon Mark Szewczak officiating. Burial will be in Pine Grove Cemetery, South Sterling, PA on Thursday, August 30, 2018 at 12 noon. A viewing will be held at the Funeral Home on Wednesday afternoon from 4:00pm to 6:00pm. In lieu of flowers, donations may be sent to Kimberton Lions Club c/o Frank Small, PO Box 405, Kimberton, PA 19442 or the USMC League, 3619 Jefferson Davis Hwy, Suite 115, Stafford, VA, 22554.